A little layering is all that is needed to take this card to the next level. When you need to build some interest to your design, it’s a good idea to start at the base and build up. For example, I tucked the tree behind the circle and greeting, and topped off with the truck. It feels like it’s popping off the page to deliver your very own decorated Christmas Tree! Oh, and check out that teeny, tiny ribbon! I’m all heart-eyes about that little cutie! 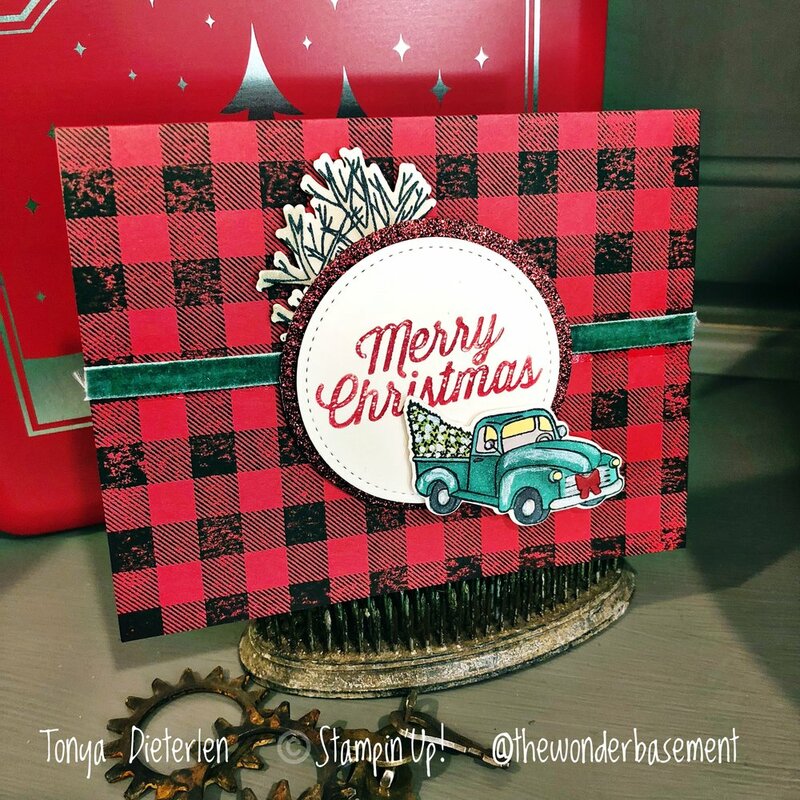 I used our new Blends to color in the truck and tree. They are so much fun to use and blend marvelously. PS. If you are wondering how in the heck you can pick up those tiny little embellishments, like the tiny bow, Check out the Take Your Pick tool. This handy little feller is great for picking up, scraping up, poking out and in general being super useful. A multi-tasker for sure. Get one of your very own by clicking the link below!